Benita Ibrahim, is a small business owner for over 23 years she’s an author,speaker, leadership educator, mentor and consultant. She is the founder and director of a daycare facility in Texas. One of her favorite mantras is: to be the best version of you- you can be. Equipping, leading,inspiring and mentoring our future leaders of tomorrow is one of her greatest passions. 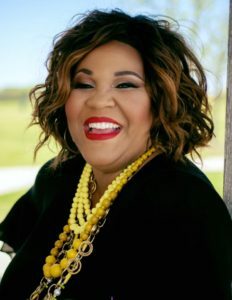 An in demand consultant, speaker, leadership educator and mentor; Benita has been featured in HOPE For Women Magazine, The Northwood Idea, Tribute Magazine,USA First Council of Camp Fire and Tarrant County College Reach Magazine Alumni spotlight for her leadership in business and empowerment of women. She was also a recipient of the 2014 Women Who Inspire Award from HOPE Magazine for her Entrepreneurship and Philanthropy work in her community. In 2013 recipients for this prestigious award were Oprah, Michelle Obama, Hillary Clinton just to name a few. She has been a radio show host and interviewed on a variety of radio shows. Her love for education and motivating our future generation is evident in the community and how she spends her time. In 2013 she received the Educators Award for her contribution to the education of youth in the community. In her leisure time you can find her, giving back to the community, at her sons soccer game yelling in the stands, grazing neighborhood garage sales,having tea on the patio or watching movies with her family. She is known as “The Community Builder”, in her community and holds an appointed seat by The Mayor of Arlington on The Community Relations Commission for The City of Arlington. She currently sits on The Board of Directors of The ALC at Northwood University in Cedar Hill, Texas since 2011. She was also given the honor of being a Judge for the IPAC YouthPageant in 2015. She currently sits on the Board of Directors of Finding Faith Within, an organization that focuses on domestic violence and abuse among teens and adults. She is a featured writer for Thriving Women In Business Magazine. She is a best-selling author and has co- author several books, including The Rock Bottom Is a Beautiful Place book series Vol. 1,2, & 3. The book series are powerful stories of inspiration and triumph from amazing women all over the world. She was also a co-author in the Behind Her Brand Entrepreneur Edition Vol. 3 book series. You can find her current children’s book series called “Penelope Pencil” on line and on the shelves at your public library, elementary school libraries and anywhere children’s books are sold. She is also completing a wonderful project on Professionalism coming soon! 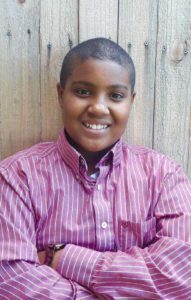 Joshua Ibrahim loves participating in outdoor activities with his Boy Scout troops, plays soccer, karate, and enjoys singing, dancing and playing the drums in his high school band. He serves on the Mayor’s Youth Commission and his favorite subject is math. He loves to cook and makes an awesome Hamburger Helper! On the weekend you can find him serving at church, on the soccer field playing or refereeing youth soccer games or spending time with his family and cousins.